It is 1750, and you’ve just died from one of the many communicable diseases of the era. Without the modern conveniences of electrocardiograms or electroencephalograms, the medical men of the time have no surefire way to determine that you are well and truly dead, rather than just unconscious. Not wanting to bury you alive, they decide to test your body for signs of life. One of the medics wants to slice your foot with a razor blade to see if you react, while another has heard tales from Germany about a coffin equipped with a bell that can be rung by a thought-to-be-dead person who awakes. 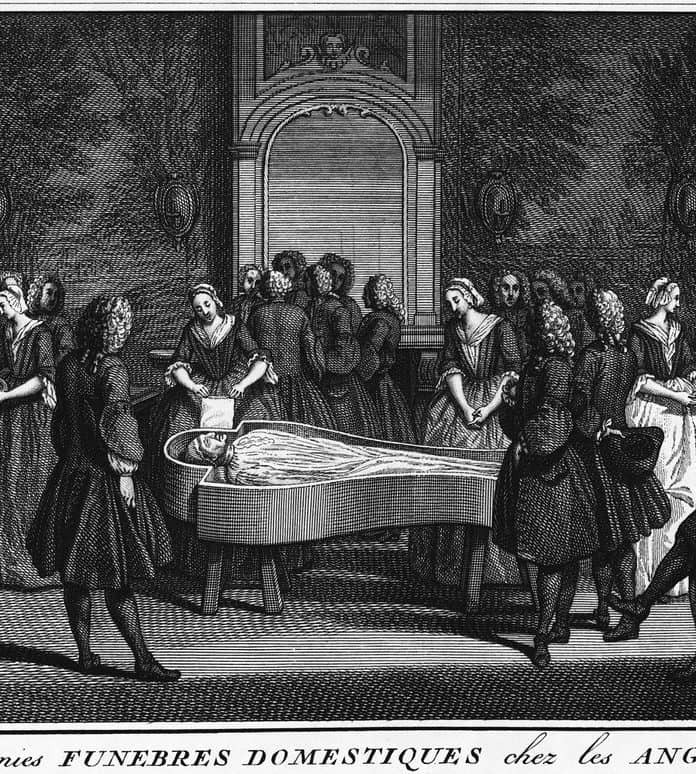 Keep reading to learn about other methods that could help 18th-century doctors determine if you are truly dead. An illustration of a shocked corpse awakening. Wikimedia. Smelling salts, which release a small amount of potent ammonia gas, have been used to revive the fainted for centuries. Smelling salts are typically comprised of the crystalline solid, ammonium carbonate. Modern solutions are mixed with water. The Romans wrote of using ammonia-based compounds to wake the fainted, while medieval alchemists used ammonium derived from antlers to revive the fainted with a potion called the spirit of hartshorn. Smelling salts were particularly popular during the tightly corseted Victorian era, with women routinely fainting onto their couches due to restricted breathing. Through the World War II era, smelling salts were trendy and recommended items in first aid kits. Smelling salts revive fainted people by stimulating the inhalation reflex. When the body senses ammonia gas, the mucous membranes immediately become irritated which triggers rapid inhalation. This rapid inhalation counters the slowing of respiration and the heart that typically accompanies fainting. For cases of mild unconsciousness due to fainting, smelling salts would bring about a miraculous reversal. However, for someone in a coma or with a severe head injury, the smelling salts alone would not be able to prove that a body was indeed dead.